This leakproof insulated food jar has been triple insulated for superior heat retention, keeping your meal hot for up to six hours. It has a wide bowl shape, that holds a two cup capacity of food. 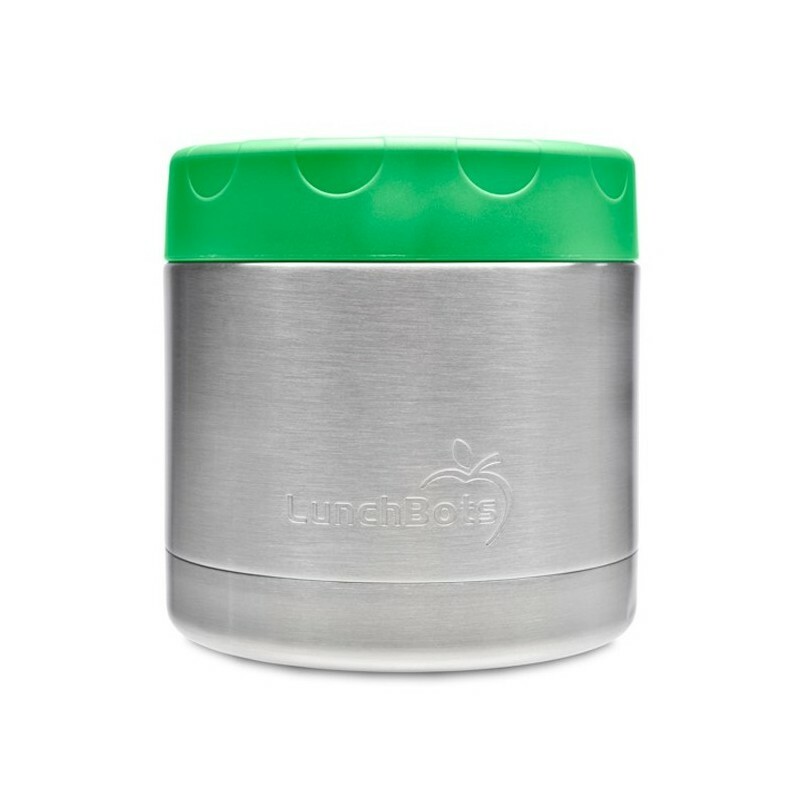 With a 100% stainless steel interior, meaning no plastic touches your food. 16oz (470ml). Green lid. LunchBots are reusable and recyclable. 18/8 stainless steel is durable, and can last a lifetime when cared for properly. Containers are designed, packaged, and assembled in Northern California and manufactured responsibly in China. Comfortable wide mouth bowl shape makes filling and eating easier. 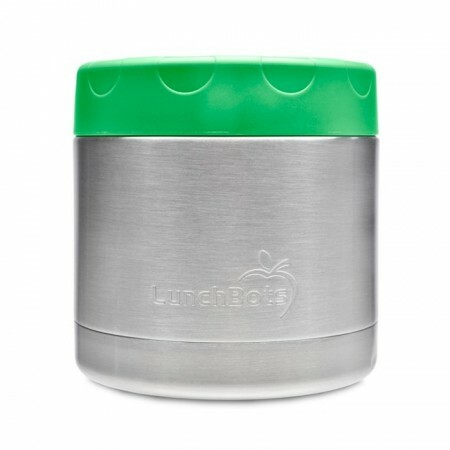 Interior made from 100% 18/8 food grade stainless steel (including lid) so your food never touches plastic. 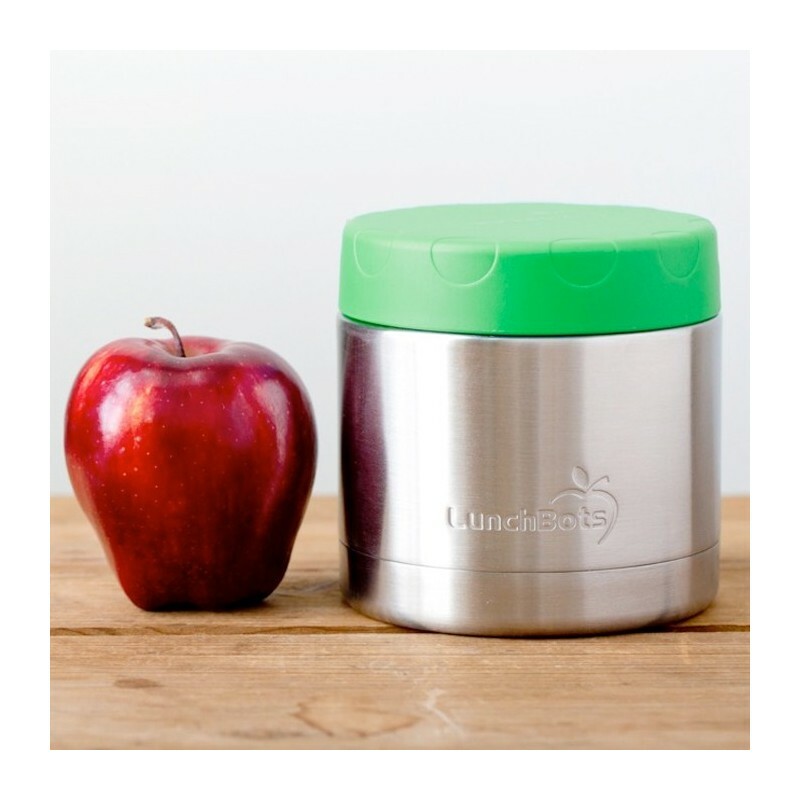 Generous 470ml (16oz) size will easily store soup, pasta, fruit, yoghurt, snacks and more. Dishwasher safe, remove seal for thorough cleaning. Not suitable for use in the freezer, microwave, or oven. Fill your container to the top with boiling water for five minutes before filling it with food. 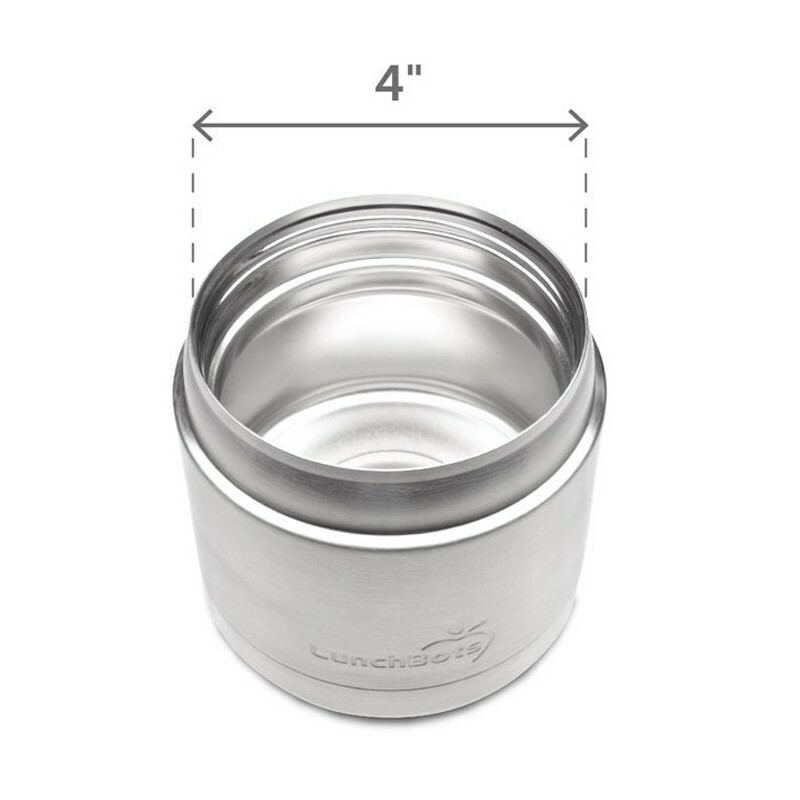 This warms the stainless steel, so your hot food won’t cool down as soon as you pour it into the bowl. Store it separately from cold items and keep it someplace warm. A full container will keep food warmer than one with plenty of air space. 18/8 food grade stainless steel interior. Plastic exterior lid. 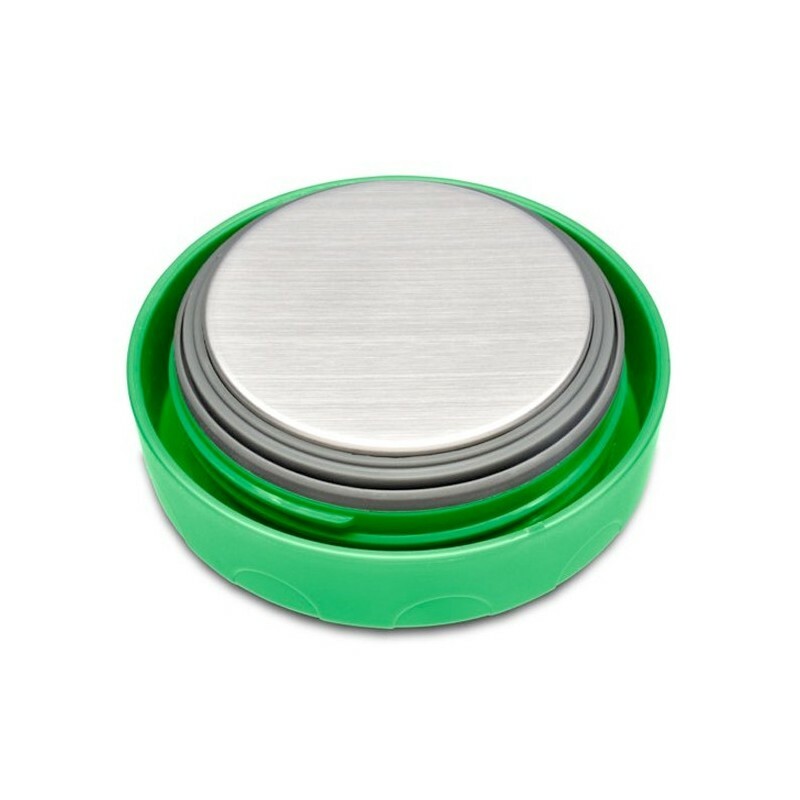 Designed, packaged, and assembled in Northern California and manufactured responsibly in China.